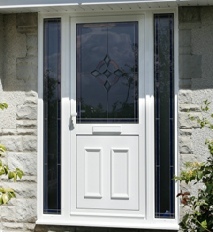 Your clients can make an individual statement and add value to any home with a secure new Advanced Plus Entrance Door. Entrance doors are available in a wide range of styles and designs and can be fully customised to suit most applications. All doors are fitted with high security multi-point locking systems and come complete with a choice of customisable door furniture.